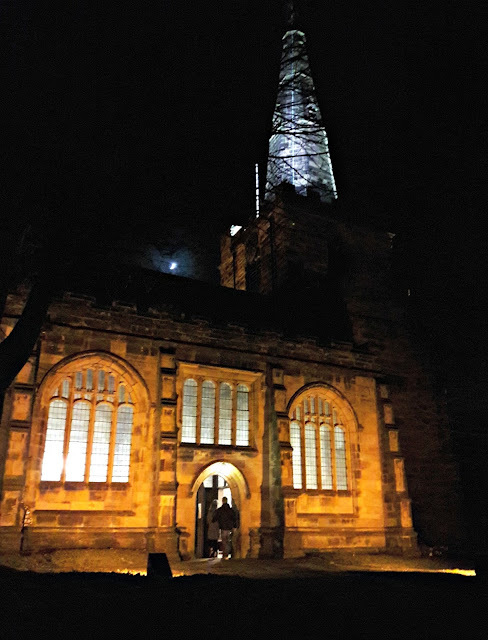 We've had fun at the traditional Crib Service at Winwick Church this evening and now it's time to settle down ready for an exciting day tomorrow. Small daughter has been doing some Christmas-themed homework for her RE (Religious Education) class at school. She was given two sets of verses from the Bible about the Christmas story and asked to say whether certain “facts” were true or false, so for example, “There were three kings” or “Herod wanted to kill Jesus”. The fascinating thing was that not all of the “facts” that were listed were in both of the versions that she read but put together, they made up the Christmas story as she recognised it. This was one of those moments when I explain something to small daughter and she looks at me as if I’ve just dropped from an alien space ship. Do you find that there are some clothes in your wardrobe that you want to wear all the time? I do, and usually from the same couple of companies too. They make the sort of comfortable tops and tunics that I like to wear over jeans and leggings and my drawers are full of them! 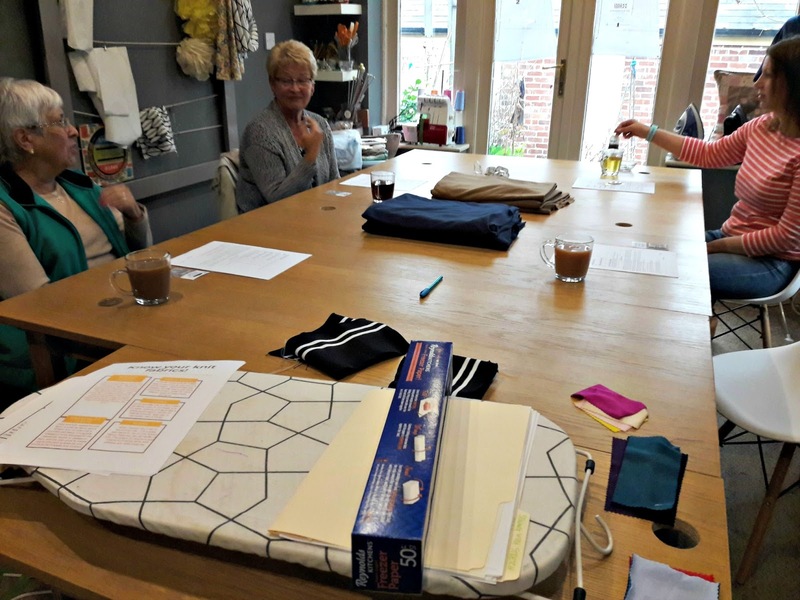 Then a solution dropped into my inbox inside The Make and Do Studio's newsletter, and I booked myself onto the new "How to sew with stretch fabric" workshops that Maeri (who owns the studio) had just added. Hooray! 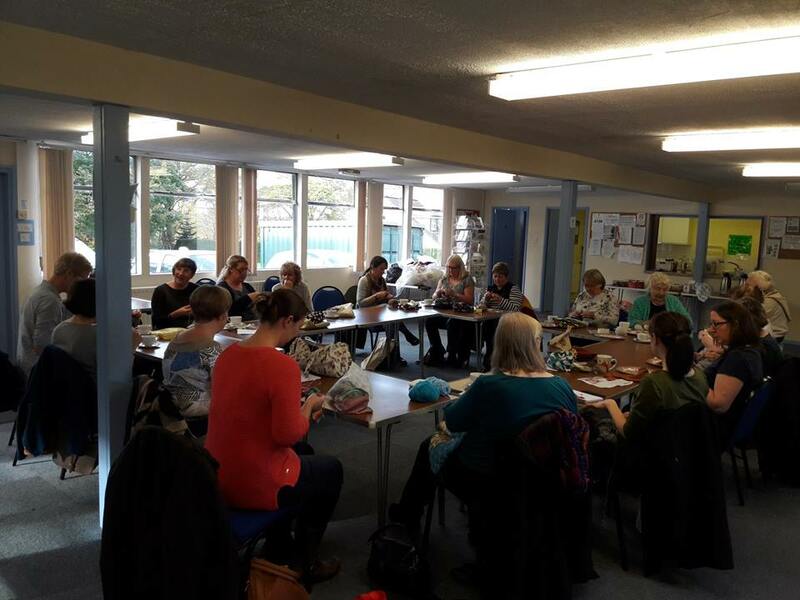 The workshops run over two 3 1/2 hour sessions which is a good length of time to get something done - in this case, make a t-shirt - but not long enough for learners' fatigue to set in. You don't need to be losing your concentration with pins and sharp scissors in your hands! It should never be a surprise to me that Christmas is on 25 December; the date doesn't change and I've been around for a fair few Christmases now, but despite my good intentions of being organised by the beginning of December, it very rarely happens. I've written some Christmas cards, I've wrapped some presents, I still need to write more cards, buy more presents - and it feels as if Christmas is just around the corner, waiting to pounce on me shouting "Not ready? But you knew I was coming!" This year, I've struggled to feel festive at all which hasn't helped my preparations, despite small daughter kindly keeping me up to speed on how many sleeps it is before the big day ("How many?" Oh no!) but over the weekend something happened that has made a big difference. Can it really be that time of year again when I'm able to say to you "look where all the Yarndale socks have gone?" It doesn't seem like five minutes ago that I was asking you if you'd like to get involved in the Yarndale Sock Line this year but here we are in December and it really is that time of year where I can tell you that all the socks have gone to new homes. and using the system that I set up last year to log all of the sock details, soon had them all up on my spreadsheet and waiting for Yarndale. As I get older, I am slowly learning that there are times that you can tell someone something till you’re blue in the face and they still won’t listen. 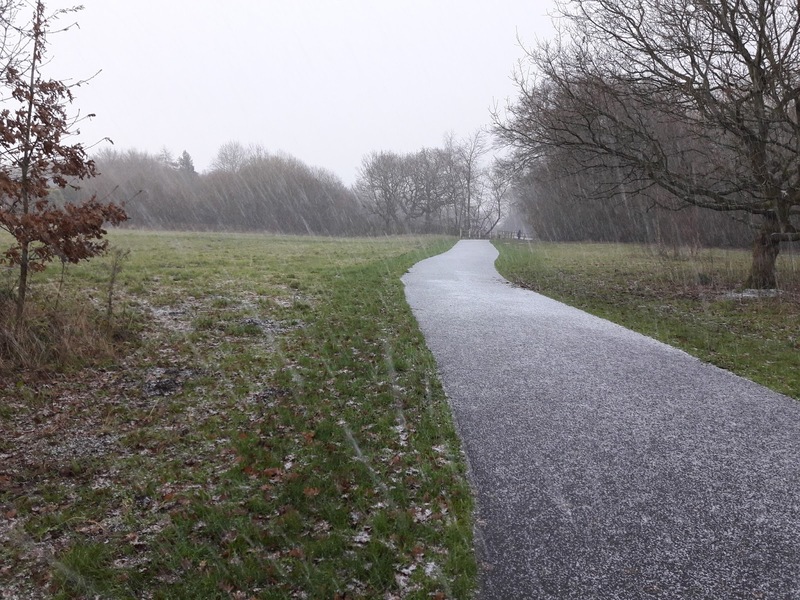 It’s as if you become invisible white noise in the background. We’ve all been on both sides of that one, closing our ears when it suits us and doing our best to relentlessly hammer home the point on other occasions, frustrated with ourselves and the other person as our words fall on deaf ears. 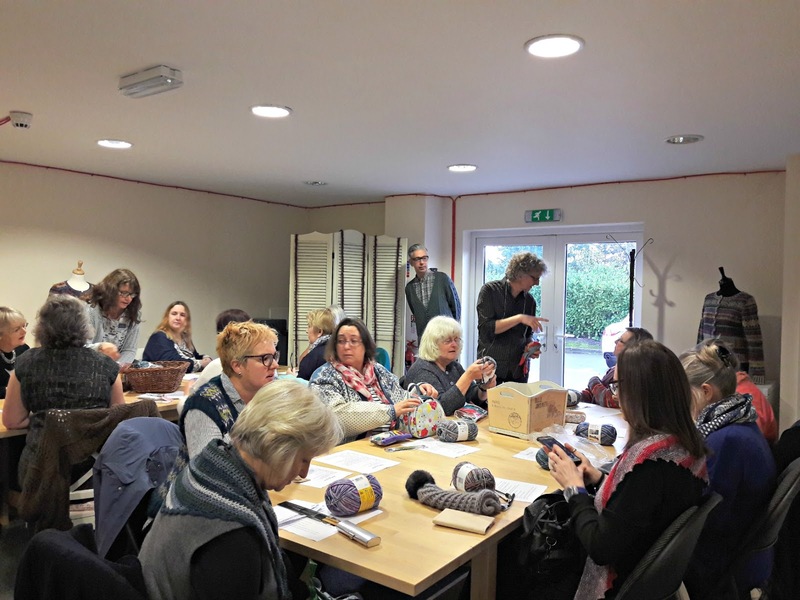 Quite a few people wondered what I was doing at Black Sheep Wools last week when I arrived for the latest Arne and Carlos workshop - their sock masterclass. "Don't you already know everything about socks?" I was asked, on more than one occasion. Even when the weather is a bit rubbish and I can hear the rain on the windows before I get up, I know that I'll feel better once I've been out with the dog. It's the time in the day when it's just me and my thoughts (and one eye on my daft hound), there's nothing to do except put one foot in front of the other and somehow, with the rhythm of my footsteps, everything falls into place so by the time I get home, I'm ready to face the day. It doesn't always feel like it sometimes, I have to say, with the rain dripping off my nose and the dog choosing the wrong moment to disappear into the bushes for what feels like an eternity, but I do know that whatever the weather, the fresh air will work it's magic and by the time I get home, I'm in a much better mood. 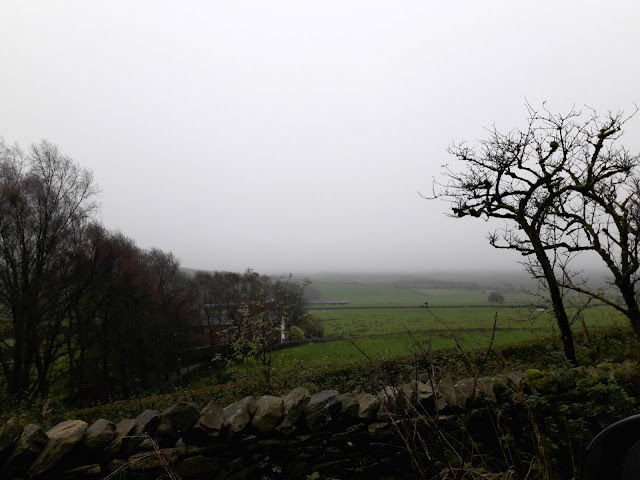 The weather was pretty rubbish for the whole of the half term school holiday that we had here in the UK a couple of weeks ago, and in the rolling Lancashire hills on a Tuesday morning there was more cloud than hills to see. On the subject of knitting, I couldn't find a particular circular needle the other day and I wanted to cast on a new pair of socks from some lovely new yarn that I've bought. Convinced that I'd managed to lose it, I turned the house upside down (ignoring comments from my husband about this not happening if I was a bit tidier) and eventually realised that all my needles were in WIPs. Oh dear. It turns out that I have an embarrassing number of half-finished sock pairs - no, I'm not going to tell you how many but let's just say it's in double figures (actually, it was quite a revelation as I didn't know I even had that many sock needles!) - and I really need to do something about it. 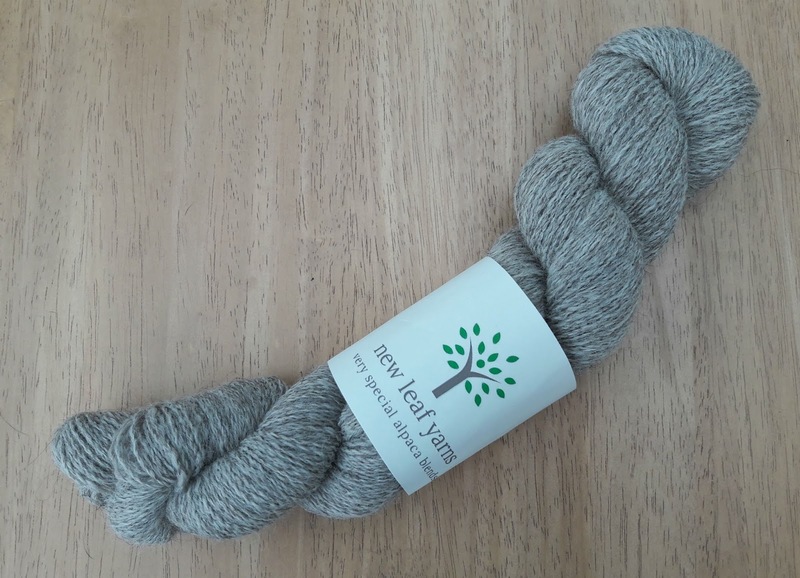 It's a blend of Alpaca, Blue-face Leicester and Teeswater from a new Scottish yarn company called New Leaf Yarns - and it feels gorgeous. And the alpaca fibre comes from an alpaca called Nicky. How could I resist? Wouldn't you want to cast on immediately? 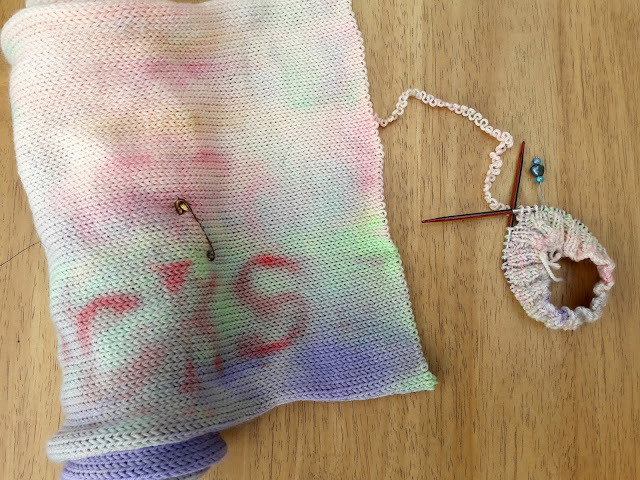 Even with an embarrassing number of half-finished sock pairs on all of your needles? Of course you would! And you would probably do what I did as well, which was to transfer one of the socks off the needle I wanted and onto stitch holders so that I could make a start. Well, wouldn't you?! This is how it's looking at the moment. It's a soft rose-grey colour, a bit slubby in places but it feels very natural. 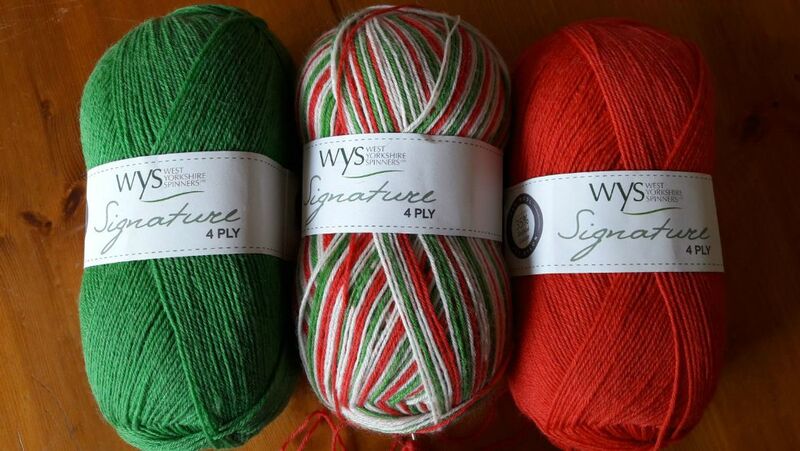 I've had a conversation with my colour-obsessed friend Lucy about this and it's unlikely she'll be casting on with this yarn any time soon, but yarns like this make me feel very connected to the places they have come from and I never wish that they're a bright colour. It's a no-nylon yarn so there'll be a review coming up later in the year next year (blimey, is it really the time when I have to start thinking like that?) In the photo, I think it looks like it might be a bit woolly and scratchy but it isn't at all - it feels as lovely knitted up as I hoped it would and I think these are going to be gorgeous socks. I've finished the first of big daughter's boyfriend's ginormous size 14 socks too. It actually wasn't as much of an ordeal to knit as I worried it might be, probably because I've had to do it in bursts so that he can keep trying it on. I've got a different number of stitches at the cuff compared to the foot but the end result is a sock that fits him perfectly. He's very excited about being able to wear them - the first pair of socks that are the right size he's ever had, he says! 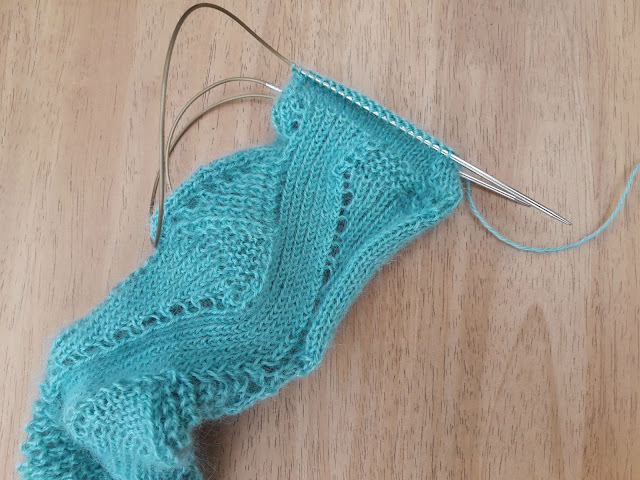 It's really easy to adjust a sock to fit if you're knitting for feet that aren't a "standard" size (is anybody's foot a standard size? That's what's great about handknits because they can be your size!) as you just use the stitch calculation for every part of the foot and adjust the stitches by increasing or decreasing at that point. 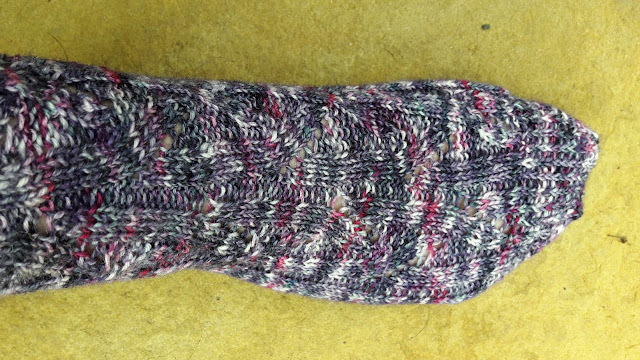 I've also just about finished my Magic Mirror socks that I knitted in no-nylon Cuthbert's Sock from Whistlebare. 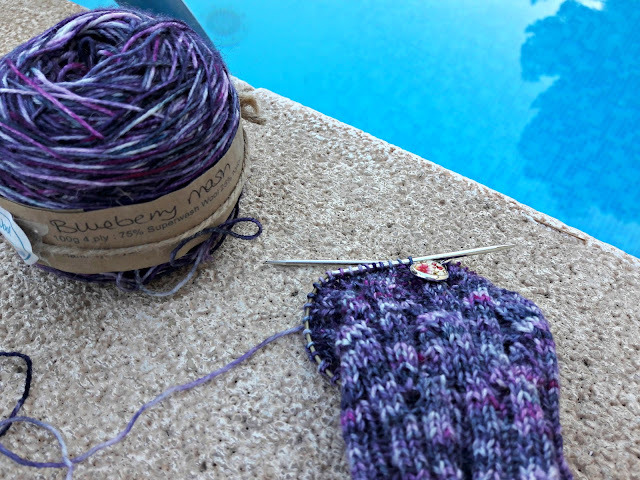 I bought the yarn last year at Woolfest and since then, Alice at Whistlebare has made the skeins longer which means that anyone with a recent Cuthbert's Sock purchase shouldn't have the problem which happened to me - I ran out at the toes on both socks! Oh no! 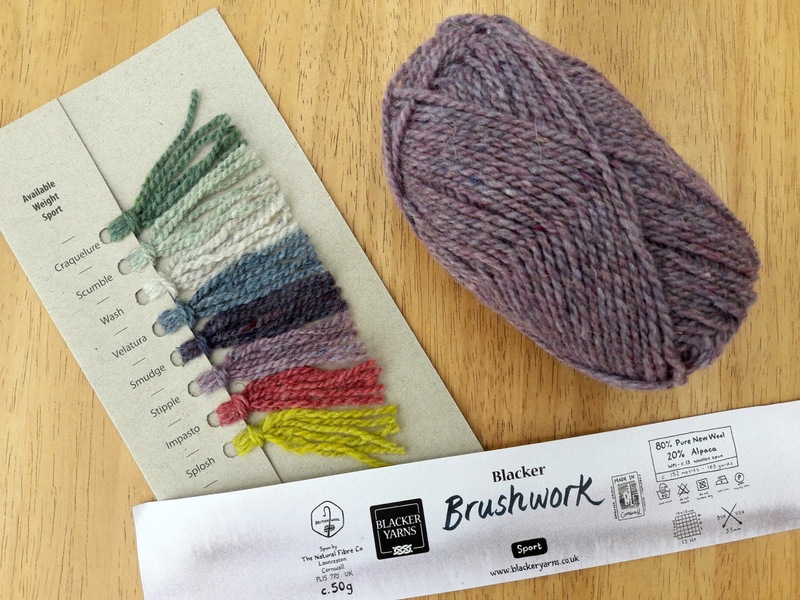 Luckily, Whistlebare have mini skeins of their Cuthbert's Sock colours and when I contacted Alice to ask her about them, she immediately and very kindly offered to put one in the post to me so that I could finish my socks. I decided not to go for the same colour because the colour probably wouldn't match, so I've chosen something completely different. The original turquoise shade is Kirk Yelthom and the new pink one is Grubbit Law. Pink and turquoise together? Not some people's ideal colour combination but I like it! There's going to be a review of this yarn next year too - so far I can tell you that I think it's the silkiest, shiniest yarn I've ever knitted with and I'm really looking forward to wearing the socks. There's a large mohair content in the yarn which replaces the nylon and I did wonder if it would shed (in a way reminiscent of those 1980s mohair jumpers - they make me itch just to think of them!) but it hasn't at all and has been a pleasure to knit with. The socks have knitted up slightly bigger than "ordinary" sock yarn too, which means that the yarn will go a bit further - even better now that the skeins are bigger too! and more went out this week. I've got some more to pack up today - this has to be the best bit! - and I will probably still have some left over so I need your suggestions for places for them to go! They don't have to go to big organisations - they just need to go to places where people can put them straight on their feet (such as local care homes, family centres, community projects) and the socks won't be sold. I'll put the places that the socks have gone to up on the blog when they've all gone out so that you can see where they've gone this year. 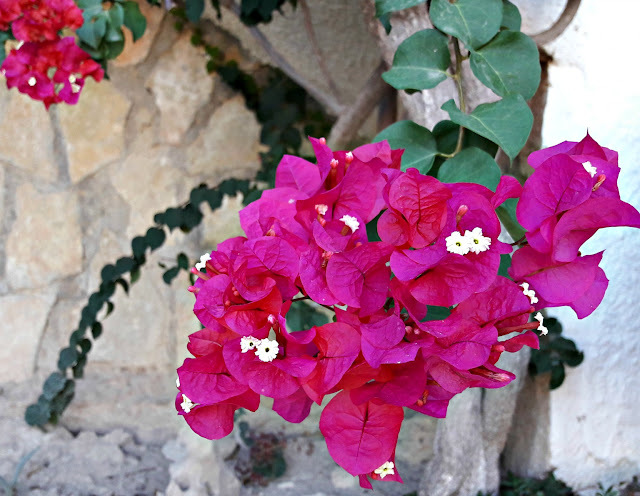 Have a lovely weekend - the wind is whistling around the house again here so I hope that you are warm wherever you are! A friend and her family have recently been looking after some gerbils for her son’s friend. Gerbils are busy little creatures, always ripping up cardboard, racing up and down the ladders in their cage or rocketing round and around on their wheel. They have fascinated my friend, who has never kept hamsters or gerbils before, and despite her claims that she’ll be glad hand them back, I am sure it won’t be long before her family has gerbils of their own! I had dropped small daughter off to play at their house and my friend encouraged me to stop for a while to watch the gerbils. “I’m finding it quite therapeutic!” she told me. I used to keep hamsters when I was younger and they would also be very busy on their wheels, running faster and faster before deciding to get off and go and do something else. There’s something about watching them on that wheel – mostly I joke about needing to hitch them up to the meter to save on electricity – but more recently, watching those little creatures running has felt more personal. We’re all good at running on a wheel of our own making, faster or slower depending on the demands of life. What we’re not always so good at doing is slowing it down once it’s going too fast, or remembering to get off once in a while. I'm definitely more in favour of treats than tricks so I thought I'd share this with you. If you were at Yarndale this year, you might have seen me wearing a new shawl that I hadn't got round to writing the pattern up for ... well, now I have! It's knitted with a one-of-a-kind skein of yarn that was gifted to me by Vykky of West Green Loft Yarns shortly before Hallowe'en last year and is called - appropriately for the occasion - "Frankenstein". 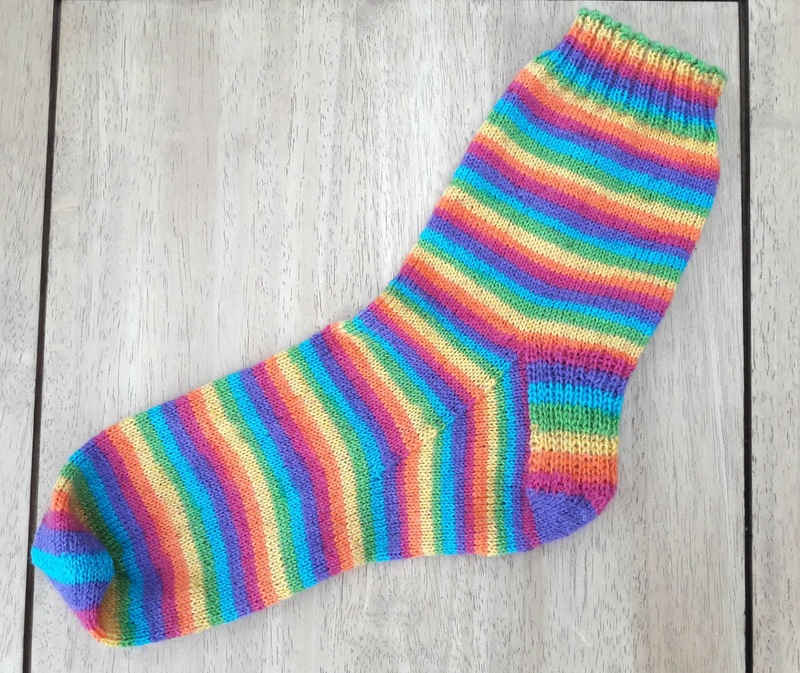 It stayed in my stash for quite a while until I decided that it was time to wind it into a ball and turn it into some socks. Look what I've got - Winwick Mum Sockalong badges! 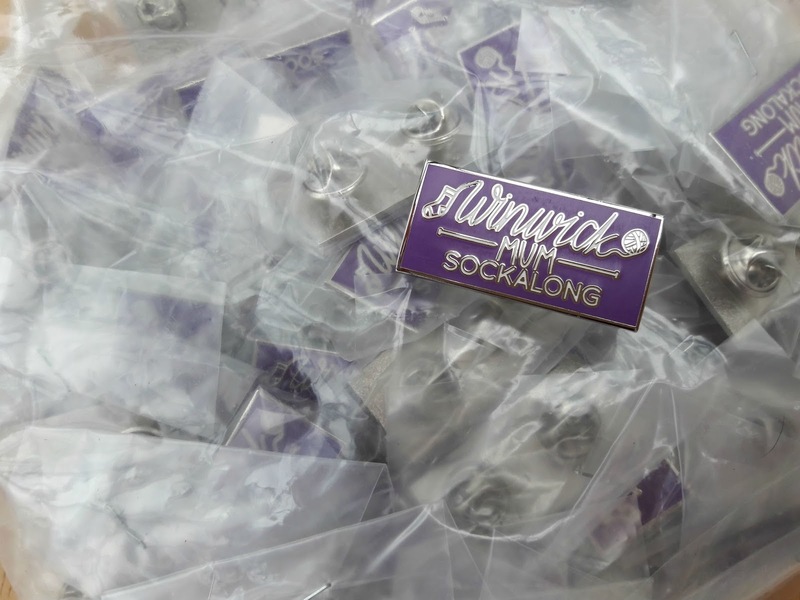 I've been asked on more than a few occasions about Sockalong badges (it seems that Teeny Tiny Socks just aren't enough for you all!) and although it's taken me quite a while to decide exactly what I wanted to put on the badges and what shape I wanted them to be, they are finally here and I'm delighted with them. It's the school half term holidays in our part of the UK and small daughter and I are appreciating not having to get up too early for a whole week. We're not appreciating the endless rain, though, which doesn't seem to have stopped for weeks. It's only when I look back through my photos that I realise that's not quite true. We have had pockets of beautiful autumnal weather, although it's often only been for a few hours at a time. 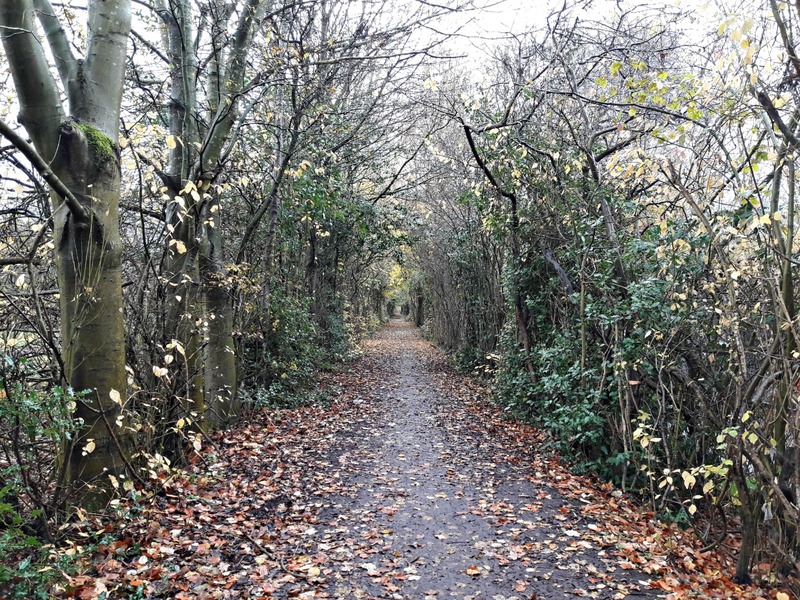 I took these photos the last time I took the dog to Culcheth Linear Park - a woodland area that's been created on the site of an old railway line. There are quite a few walks that go off the main path, and the dog loves exploring the smells along the way. Normally, I don't like to think about *whispers* Christmas until Hallowe'en has been and gone. I'm not a Bah Humbug kind of person at all, and I might have been buying the odd present here and there when I've seen the perfect something for someone, but that doesn't really count. I just don't want to see decorations and cards in the shops just yet, and I am very glad that every advert on the TV doesn't have jingly music in the background, although I know it is coming! However, I did make an exception for the lovely squishy parcel that came in the post for me from West Yorkshire Spinners ... top secret Christmas yarn! 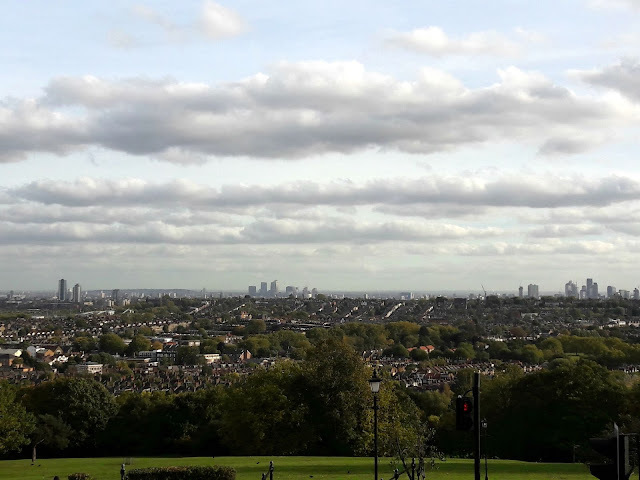 This was my view on last Thursday afternoon as I got out of a taxi at Alexandra Palace and looked across the London skyline. I'd travelled down from Warrington earlier that morning to meet up with Lucy, Emma (one of the Yarndale organisers) and Fiona from Yarn Etc to go to the Knitting & Stitching Show and the British Knitting & Crochet Awards presentation. We'd managed to meet up without mishap at King's Cross Station and after a quick stop at our hotel to drop our bags off, hopped into a black cab for the drive across the city. It's quite a view, isn't it? I like that there's so much greenery in London, you could be forgiven for thinking that there's nothing but brick and glass here but it isn't like that at all. That pointy building over on the right is the Shard and close by are other famous London landmarks that I normally only see in TV programmes or on the news. I always feel as if I'm on a film set when I go to London; I have to make a conscious effort not to walk around with my mouth hanging open like some kind of country bumpkin! What are you doing on Saturday 4 November? 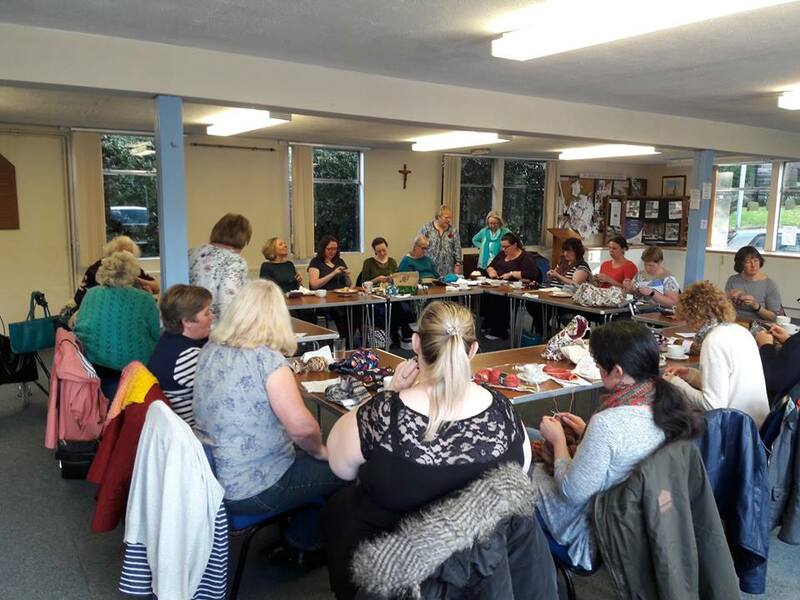 There's a Winwick Mum knit n natter meet up planned ... do come along if you're free! You don't have to be a knitter, bring any craft project you like and meet some new friends! It seems longer than two weeks ago that Yarndale filled the Auction Mart in Skipton; already October has arrived and the nights are drawing in. It's been lovely to look back on my Yarndale photos this last week as I've got ready to write this post. I absolutely love the Yarndale weekend and being involved with the festival (thank you so much for all your comments on my Yarndale Sock Line post - I will reply to them soon! ), and my heart swells with happiness from the moment I get into my car, loaded down with socks, books, emergency chocolate (totally essential for a Yarndale weekend!) and my shopping list of yarns and treats that I want to look at. Do you know, I think sometimes that I must spend my life wandering along in a bit of a daze. When I announced in January of 2015, "Right, that's it, I'm going to write some tutorials to show people it's really not hard to knit socks", I never imagined that the Sockalong would be as useful or as popular as it has been. Later that same year, when the idea of the Yarndale Sock Line came along, I had no idea that it would now be in it's third year and we would have more socks than ever before to give away to people who need them. Monthly Musing - September 2017 - "On the last day of September"
Every year on this day, I find myself singing the children’s song “Oh, the big ship sails on the alley alley oh” because the final line of each verse is “on the last day of September”. I don’t know what the big ship was or where the alley alley oh was either (and neither, it appears does Google), but isn’t it funny what sticks in your mind from being younger? I was listening to the radio the other night and the presenter played a song that I hadn’t heard since my teens. 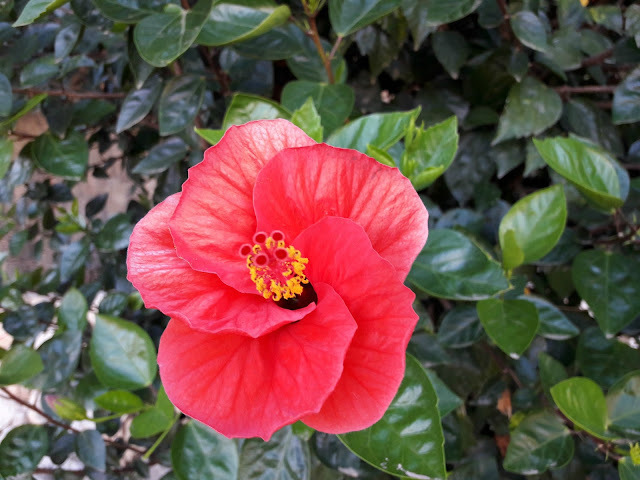 Within a few notes of the song starting, I remembered all the words, the time of the year, how I felt at the time, the clothes that I wore … apparently we never forget anything, we just forget how to remember it. 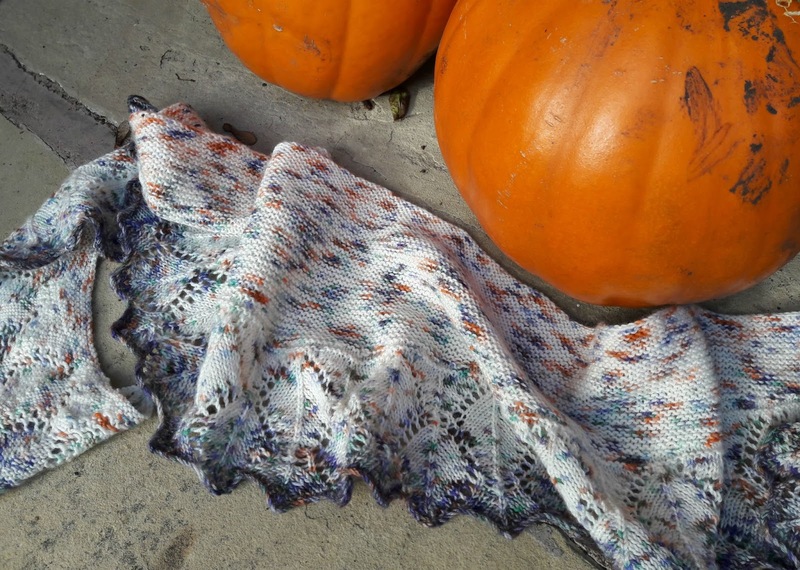 I've got some super-exciting posts coming up over this next week or so - Yarndale (which was just fabulous fun), the Yarndale Sock Line (which truly blew me away this year) - and this one! 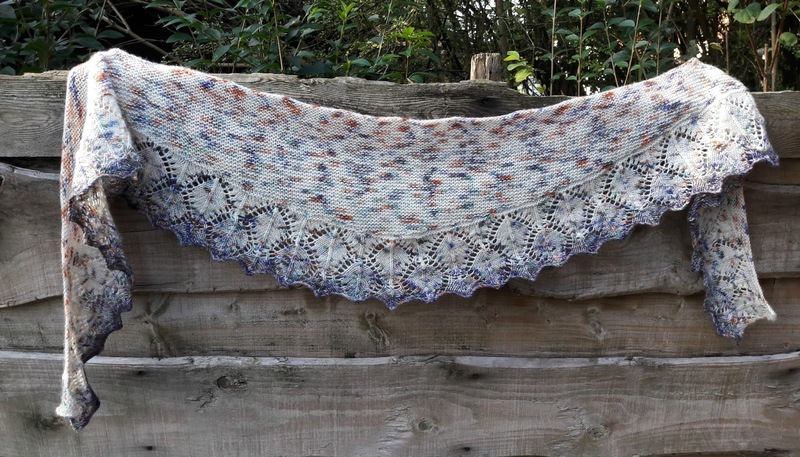 Earlier this year, I was so happy to tell you that I'd been nominated in the British Knitting and Crochet Awards for Favourite Knitting Blog with Winwick Mum. These are the industry-leading awards for the crafting industry run by Let's Knit and Let's Get Crafting magazines and it's a huge honour just to get on the nominations list. By the time you read this, I'll be on my way to Yorkshire to help set up for this year's Yarndale festival. I love the setting up as much as the festival itself and ooh, it's going to be a good one this year! I've been very excited to read the exhibitor list and see that there are going to lots of new exhibitors as well as familiar faces - don't worry, I'll be sure to tell you all about it (whether you like it or not!) when I get back. Another weekend already! I hope you're having a good one! It's been another busy week here - small daughter is still loving high school and had a new friend over to play (it's been a big relief to know that her first couple of weeks have been a success and yes, they're still at that age when they "play", which is lovely) and big daughter went back to university this weekend. She's not very far away from us and it suits us all very well for her to come home whenever she feels like it, although I'm not sure that I always appreciate all the washing that comes back with her, or the food that disappears from the fridge when she leaves again! First up, Yarndale looms ever closer - it's next weekend! Are you coming up to Skipton? 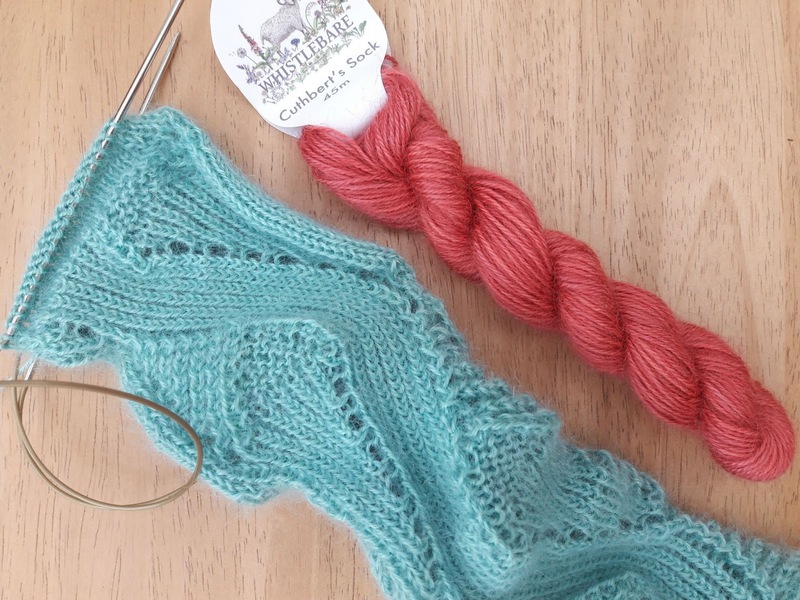 You are going to be stunned by this year's Yarndale Sock Line if you are - there are so many pairs of socks and they are all beautiful. Such a range of sizes too, we're going to be keeping toes cosy from the tiniest to the largest pairs of feet and that's amazing! Hello, and how are you? Safe and dry, I hope - the weather this week has been quite wet and wild, the tail end no doubt of the hurricane which has battered the Caribbean and east coast of America. 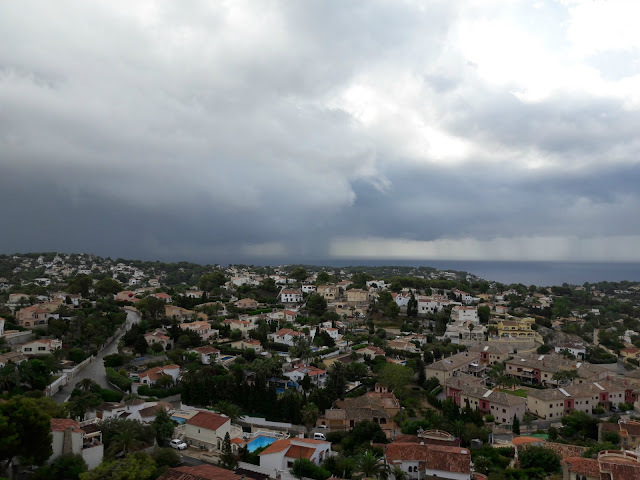 Whilst a bit of heavy rain here has been nothing compared to what people there are going through, it makes you realise that we are all connected in some way on our small blue planet and we have an obligation to keep it safe so that we can keep all of us safe. I send my thoughts and prayers to everyone affected by Hurricane Irma and hope that it blows itself out soon. It's also the end of the first week back to school for us; this year it's been the same but different as small daughter has gone to high school and our school runs to the primary school are over. Am I missing them? Not at the moment! Neither is small daughter who has thoroughly enjoyed her first week at high school and is looking forward to next week already. I have to say that the first morning's achievement of being up and dressed by 6am wasn't repeated, but we've not had any issues with getting her out of the house on time! 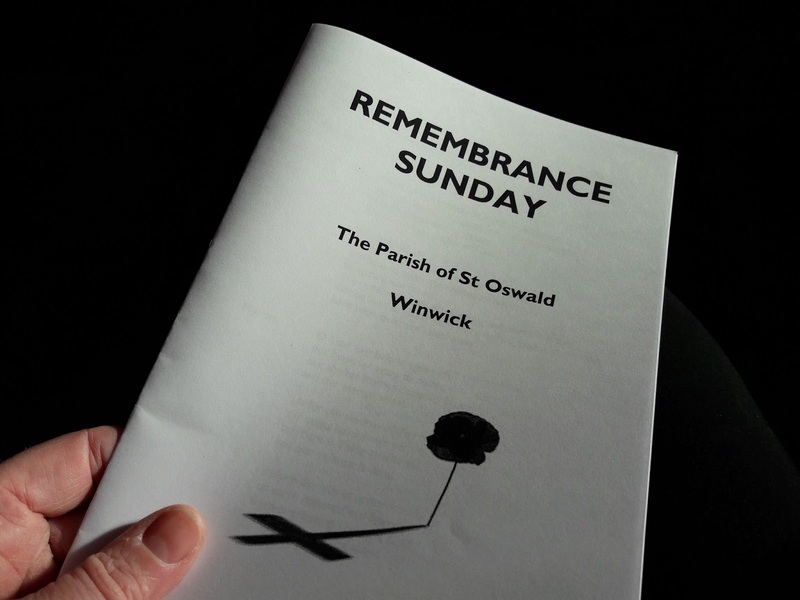 On Saturday morning, I woke up to a damp and foggy morning in Winwick. On the second day of September! It's too early for autumn weather and I was very thankful, as I drove north towards Lancaster, to see the sun break through the clouds and the fields become bright with late summer light. Why was I going to Lancaster? It's nearly a year ago that I bought my first skeins of Northern Yarn Poll Dorset Lambswool 4ply with the intention of seeing how it knitted up into no-nylon socks. At the time, I had no idea that the socks I would knit would be my Easy Cable Socks and that I'd love them as much as I do, or that Kate from Northern Yarn and I would stay in touch, that Kate would swap her three-times-weekly market stall for a bricks and mortar shop or that I would find myself driving to Lancaster on a bright September morning for the shop opening. I like the way that life works out like this, taking us down roads that are away from our planned routes. 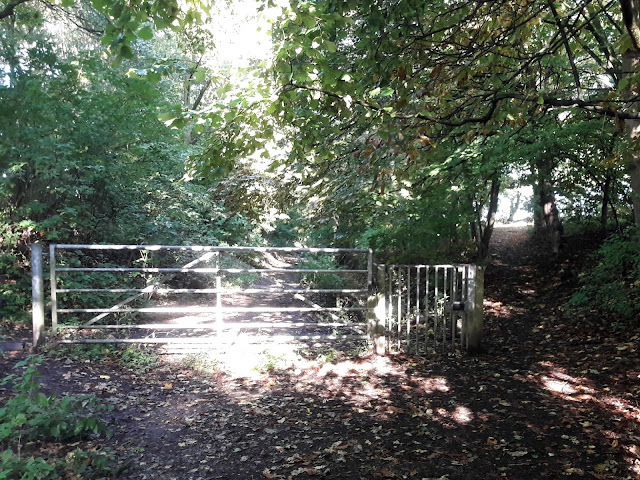 Sometimes they turn out to be dead ends, sometimes they're not pleasant journeys at all, but often they are a wonderful surprise that enriches our lives in a way that we never expected. 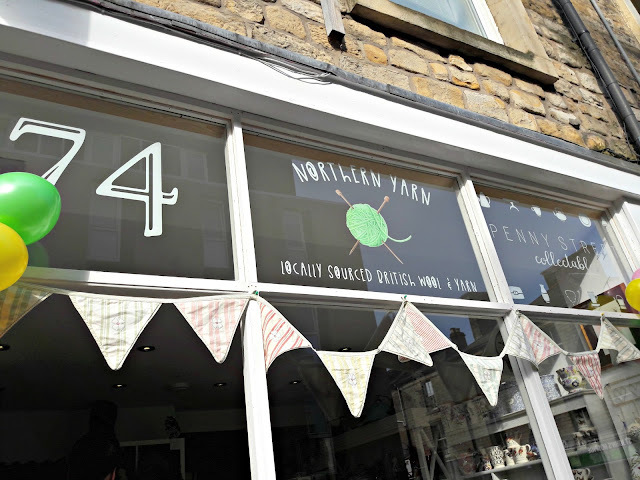 And that's how I found myself spending the day at 74 Penny Street, Lancaster, the new home of Northern Yarn and Penny Street Collectables, a joint collaboration between Kate and her friend Jess. if you're anywhere around Lancaster today (Saturday 2 September), do come and say hello at the new Northern Yarn shop at 74 Penny Street, Lancaster, LA1 1XN. It'll be open from 10am to 4pm, I'll be there to admire socks and answer any questions you might have. 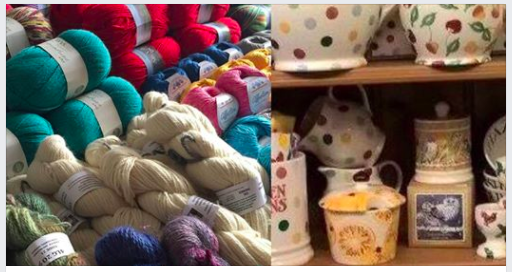 Also sharing the shop with lots of fabulous yarn is Penny Street Collectables so there will be plenty to browse. Hope to see you there! I’ve just spent the last two days in the company of a friend whom I haven’t seen nearly enough of in the last couple of years. 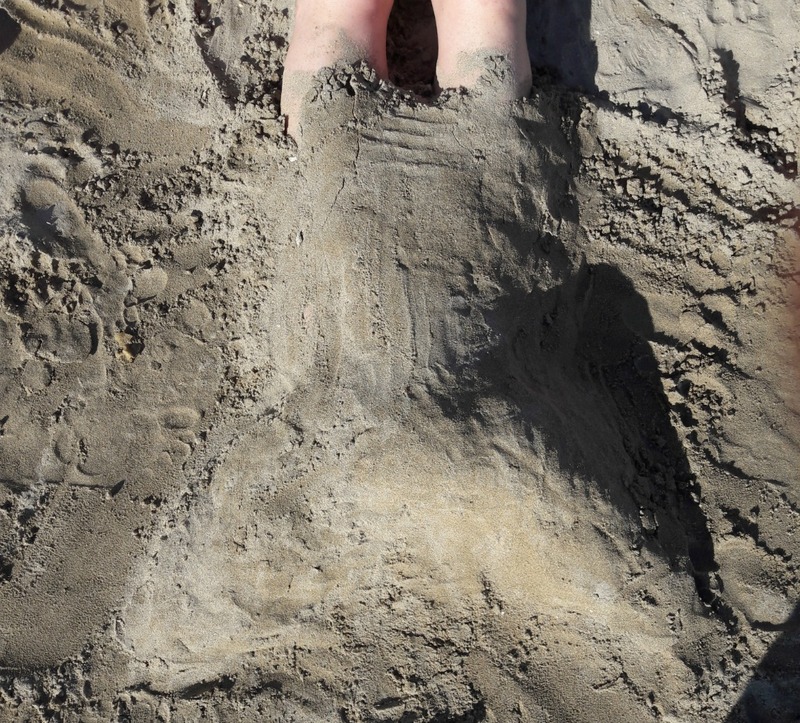 We have talked non-stop, mixing current topics of conversation with reminiscences, remembering our children playing together when they were tiny (and we have the photos to prove it, even though they are now both nearly out of their teens! ), sharing creative ideas, eating good food and clinking glasses on more than one occasion. Even though I’ve not long returned from a holiday which restored my energy levels wonderfully, these past hours have replenished my well-being tanks in an entirely different way and I have come home buzzing with ideas, plans and good intentions. What is it about some people that has this effect on us? Nobody walks around with a sign on their heads which says “I’d be a really good friend for you”, and sometimes even on first meeting there might be an instant connection but nothing that says that nearly twenty years later, you’ll still be in contact with someone who makes you laugh so hard that you snort your drink out of your nose in a most undignified manner. I am truly blessed that I have more than one friend in my life like this – they’re all different and they all complement different parts of me (as I hope I do for them), but they all help to make up the complete picture of my life. I wouldn’t be without any of them. Did you hear that? Whoosh! There it goes again - the sound of the summer holidays rushing past. How did that happen? 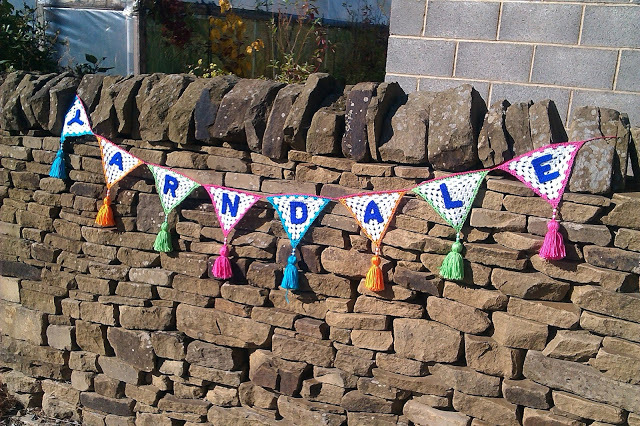 In less than two weeks, small daughter will be starting high school; in four weeks' time it'll be Yarndale. 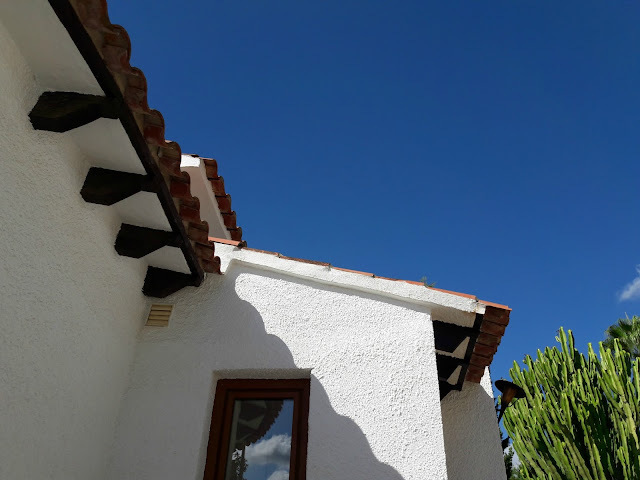 It's only a couple of weeks since I was sitting under a sun shade with my biggest decision being whether to go for a dip in the pool or to persuade someone to pour me another glass of iced tea, and in some moments it feels like I've dreamt it. Those particular moments have been when I've been up in the attic this week. Our attic is a dusty, cobwebby kind of place and not somewhere that I'd ordinarily choose to spend my days, but my husband has been working away so I've taken the opportunity to bring stuff down to sort it out as there's not much room to move up there. He's not terribly tolerant of mess so the girls and I decided we'd make the most of being able to take a couple of days to reorganise their bedrooms and make a start on the attic decluttering. Our landing has been a bit of an obstacle course for the last week but it's been worth it. Furniture has moved from one bedroom to another, a new wardrobe has been built after the door fell off the old one and couldn't be repaired (thank goodness IKEA is just down the road!) and numerous trips to the tip and the charity shop are now in the pipeline for the week to come. There's still a lot to sort out up there although it feels great to have at least made a start, to have organised some of the boxes and collected together some of the random things that have been left up there. 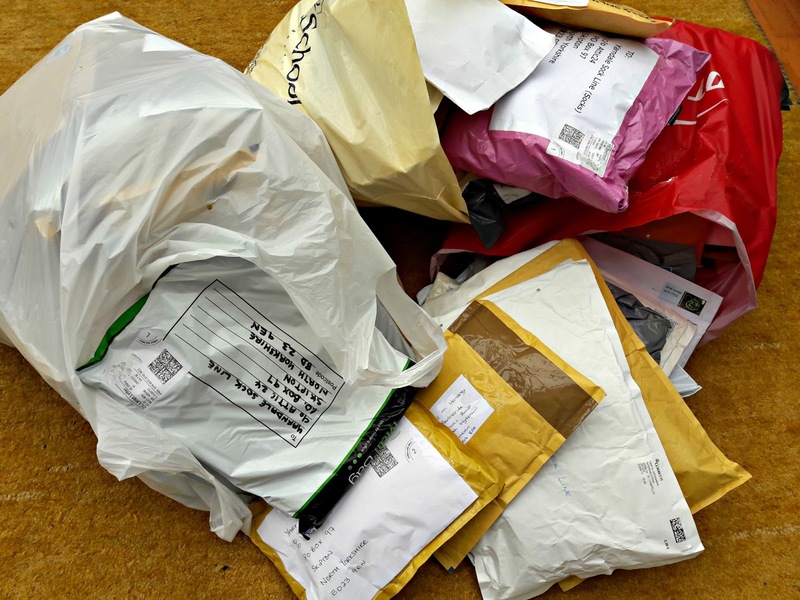 For years, I've just put things in bags or boxes and shoved them up through the access point thinking "I'll sort that out another day". Fourteen years later, I'm regretting that plan as it's now a REALLY a big job ...! First up, my treat for surviving the attic this weekend is to get to play with the new Blacker Yarns birthday yarn called Brushwork which will be launching at Yarndale. You may have seen some of this around on social media over the last week or so; the Blacker birthday yarns are always a bit special and this one is no different. Each shade is named after a painting technique and the lovely, heathered colours really do look like watercolours or inks. "Scottish Bowmont are very special sheep, their fibre is renowned for its superb fine quality. They were originally developed by crossing Saxon Merino with Shetland, to make a Merino-style sheep which could live comfortably in the UK's damp climate. The majority of Scottish Bowmont fibre goes into luxury garment manufacturing, so we were thrilled when Sue (Blacker, owner of Blacker Yarns) managed to purchase a bale for Blacker Yarns. 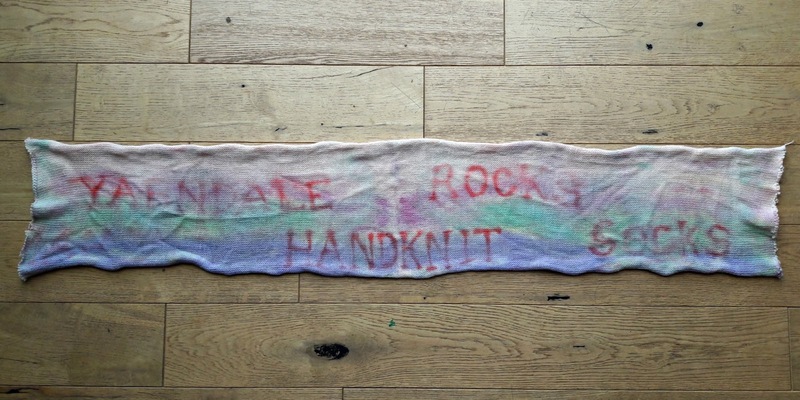 We immediately knew we had to do something truly special with this one-of-a-kind fibre. We've chosen to blend our Bowmont with 10% Castlemilk Moorit, a breed listed as "at risk" on the RBST Watchlist - there are only around 1,000 of these sheep left in the UK. 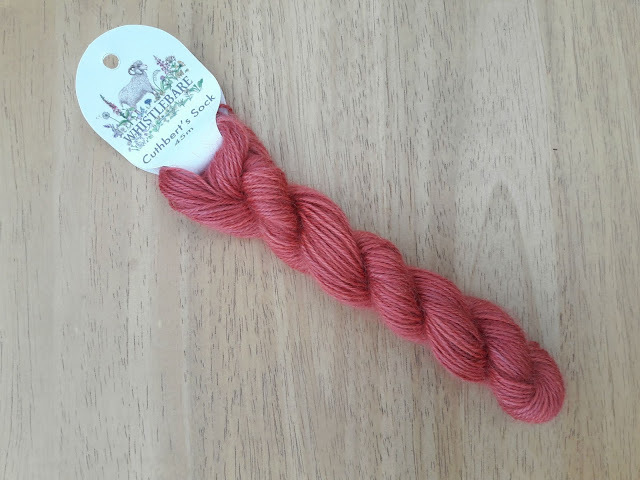 Castlemilk sheep produce a wonderfully plump and bouncy fudge brown fleece which adds a depth of colour and a touch of rustic character to this yarn. To give a little more drape and luxury to this lofty, woollen-spun yarn we added 20% British Alpaca, and we adore the resulting blend!" You can guess what I thought when I heard this - what amazing socks these would be! Sadly, Sonja has told me that this yarn is not for socks (although part of me is still tempted to try ;) ) but she was still kind enough to send me a ball in my favourite colour to squish. Oh, it's lovely! 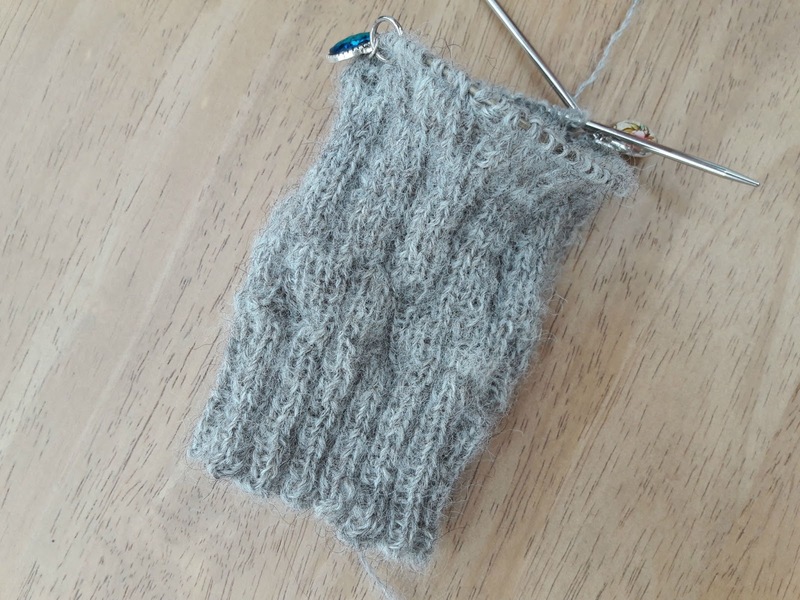 I haven't knitted it up yet but I'm really looking forward to casting on to see how it comes out on the needles. I'll keep you posted! There is sock news to share with you, as you'd expect. 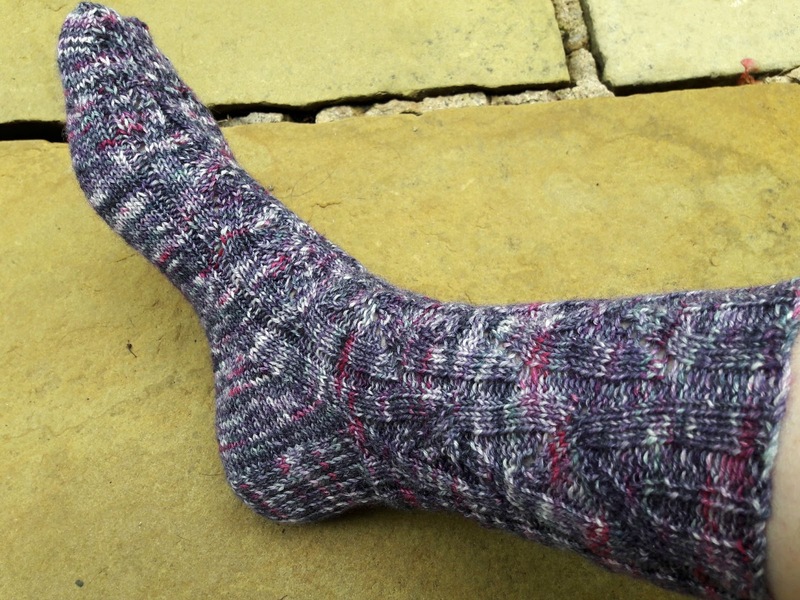 I've finished the first of my Angee socks which I started on holiday and I'm really pleased with how it's turned out. I wasn't sure if I'd lose the pattern in the colour variegations in the yarn (Wool is the Answer 4ply in shade Blueberry Mash) but it's OK and in real life, the pattern stands out nicely. 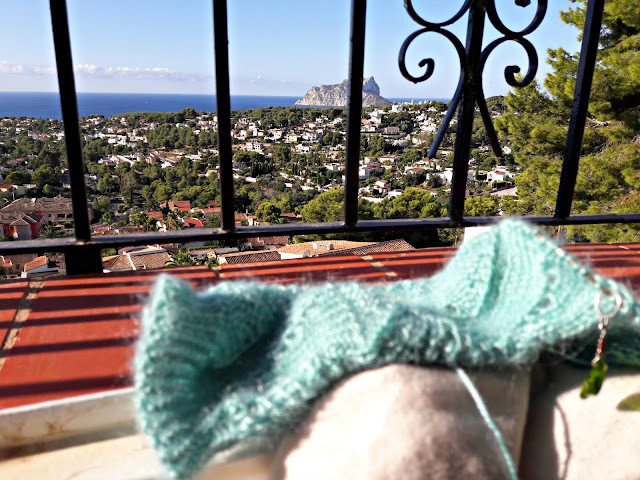 I'm no further on with the other holiday socks as I've turned my attention to some commission knitting which I'll be able to tell you about later in the year, but I'm super-excited about it and thrilled that someone has wanted to commission socks by me! We never know how life is going to turn out, do we, and I am eternally grateful that mine allows me to fill mine with knitting and socks! And there's more sock news. This is a sock-heavy post! Last week, small daughter and I headed up to Skipton to meet up with Lucy and the younger two of her Little Peeps. Small daughter gets on very well with them and we decided to meet up at Billy Bob's Parlour, a 1950s themed American diner with an indoor and outdoor play area so that we'd cope with whatever the weather threw at us. As it happened, it was a lovely day and we sat outside with hot drinks whilst the three youngsters threw themselves about on rope swings and leapt off straw bales. They all looked like Worzel Gummidge when we went into the diner for lunch! Three huge bags full of sock parcels. Wow, thank you so much! I'm really looking forward to opening these up over next week when small daughter will be on hand to help with the cataloguing. 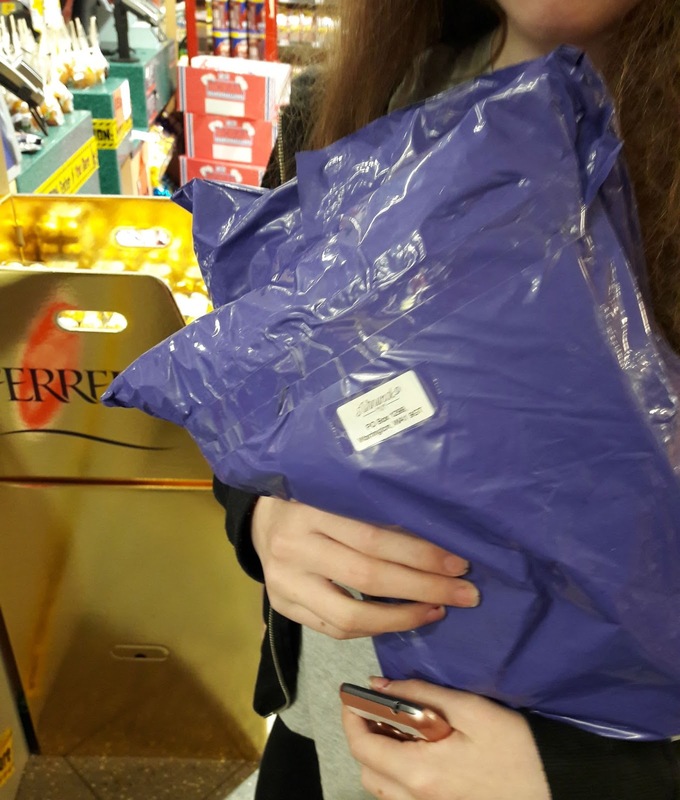 We had quite a system going with the last lot and she's been able to indulge in some serious parcel-opening which is a always a nice thing to do but not something that often happens when you don't get much post yourself. 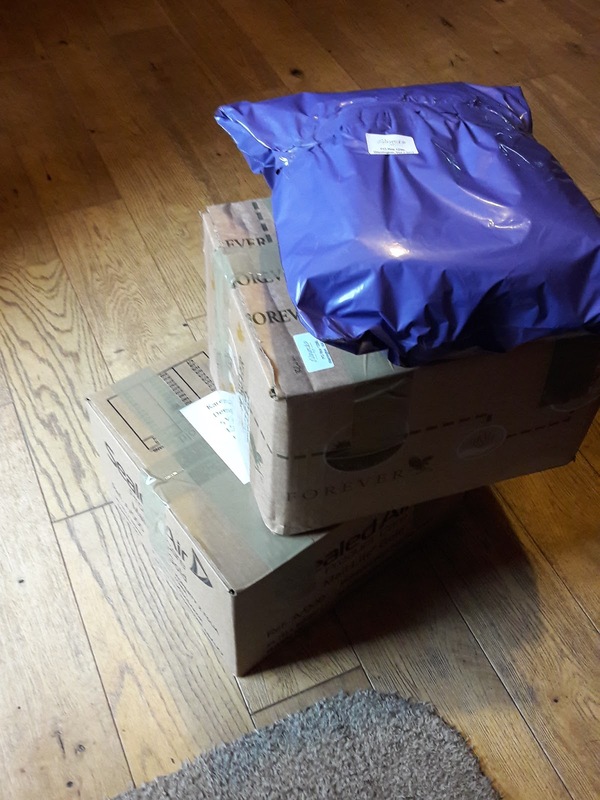 You can see the socks that have arrived so far here and I'll be adding the new socks in as we open them. Right then, I'm off out with the dog now to blow the remaining cobwebs away and enjoy some of the Bank Holiday sunshine instead of shifting boxes. Have a wonderful rest of the weekend, whatever you're doing! 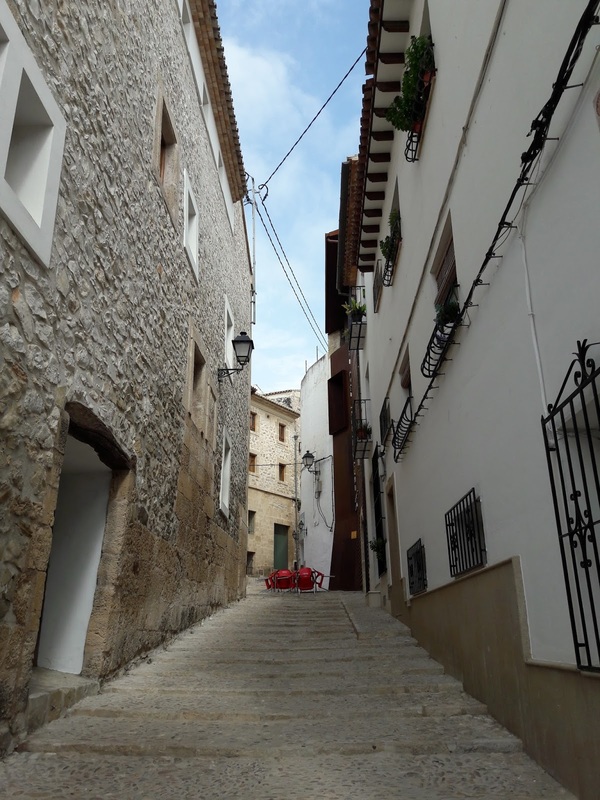 We've been away for the last ten days, soaking up Spanish sun, Sangria and having a thoroughly restful time. It's been bliss! 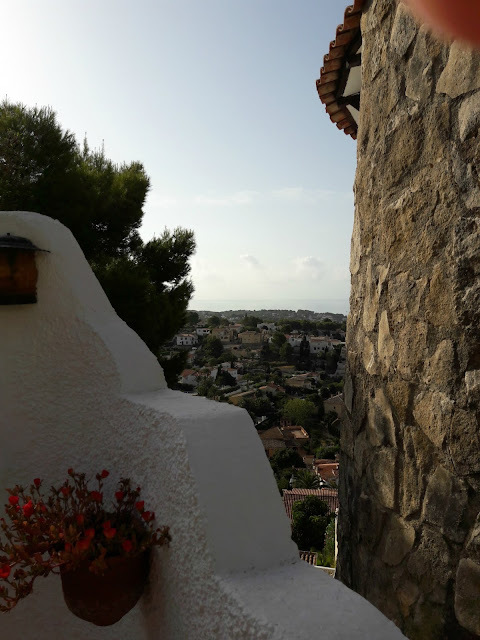 We took big daughter's boyfriend with us and the five of us fitted very nicely into a house on a hill about an hour's drive from Alicante. We had a pool and an amazing view and nowhere to be in a hurry on any day. 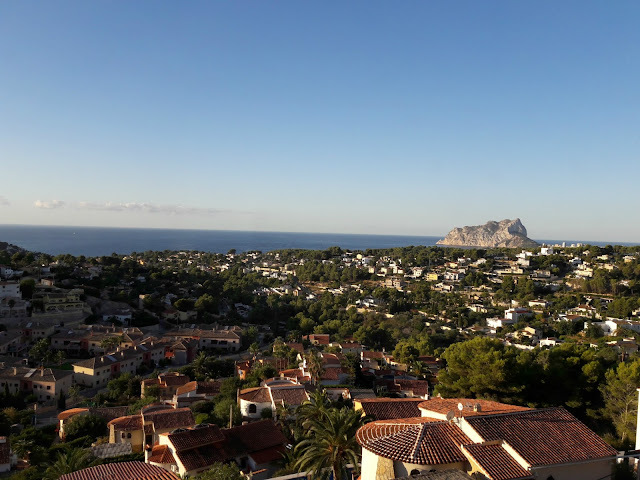 I never got tired of looking out at the sea, watching the boats making their way across the bay from behind the Penon de Ifach, that huge rock that you can see on the right of the photo. and completely hiding the rock. I love thunder storms. This one rumbled around for hours, huge flashes of sheet lightning making the night sky as bright as day. 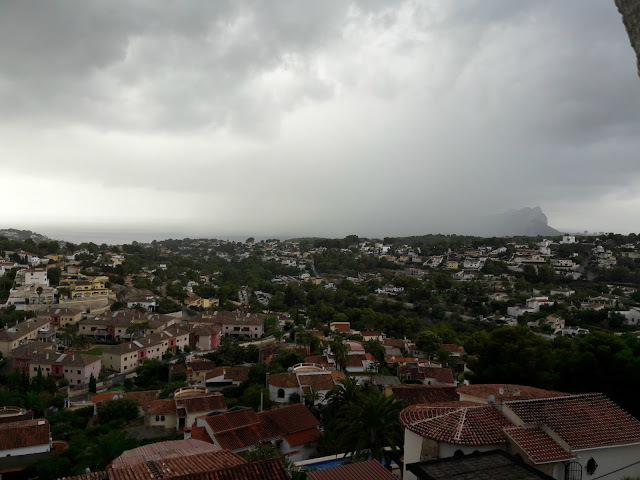 It was certainly the most spectacular one we've seen for a while and had the added benefit of dropping the humidity quite considerably. and this one is an Hibiscus. 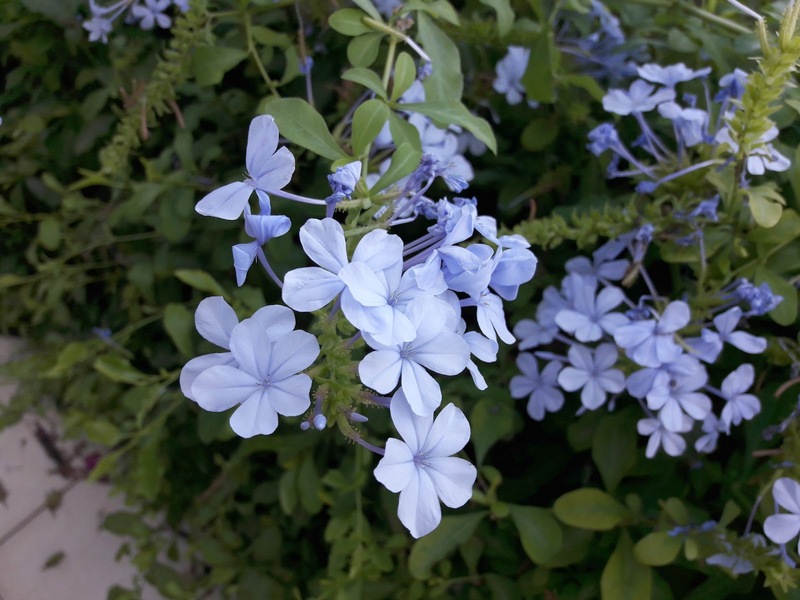 The house owners obviously liked these as there were lots of them in different colours, all blooming prolifically despite being grown in what looked like barren, compacted earth. This is how I spent the early mornings. A brew and a sock. It doesn't get better than that! This is my Magic Mirror sock knitted in Whistlebare yarn. It grew really quickly, and this yarn is gorgeous to knit with; soft and silky with a beautiful sheen. I'm still a bit worried that I might not have enough to finish my pair with the pattern, but I'll keep going and see how I get on. 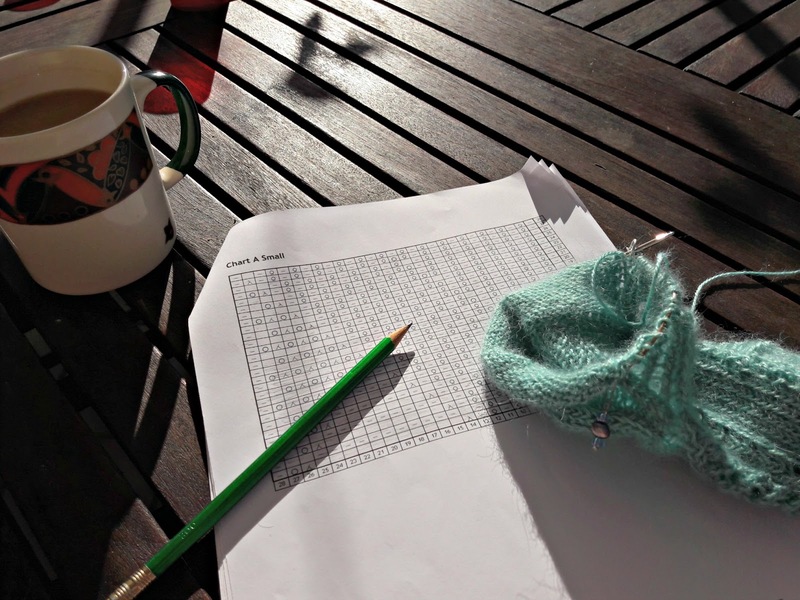 The pattern is very well-written and even though I'm converting a toe-up pattern, I've not had any problems with making the chart fit the sock. That early morning moment was where I spotted this little chap too. 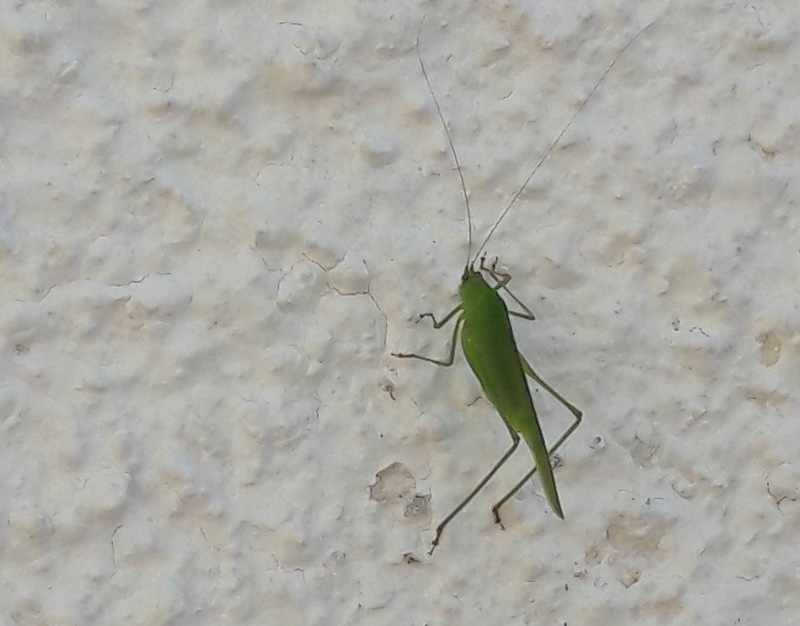 I think it's a grasshopper but I could be wrong. There were cicadas in abundance too, making a noise in the trees that sounded like a hundred hedge-trimmers all being used at once. They're so loud! We had to keep fishing them out of the pool as well; they're a funny looking insect and not one that you'd think would be inspired to try swimming. They weren't very good at it. These were a BIG hit in the pool, though. Big daughter bought them at home and we brought them with us (fortunately, they weren't as heavy as I expected them to be) and they were good fun. No, there are no pictures of me riding the unicorn (not that I'm prepared to show you, anyway!) mostly because it was surprisingly difficult to stay on it so we have lots of photos of legs in the air as whoever was riding it disappeared underwater. Sadly, the flamingo didn't make it home as it was so well-used that it popped. 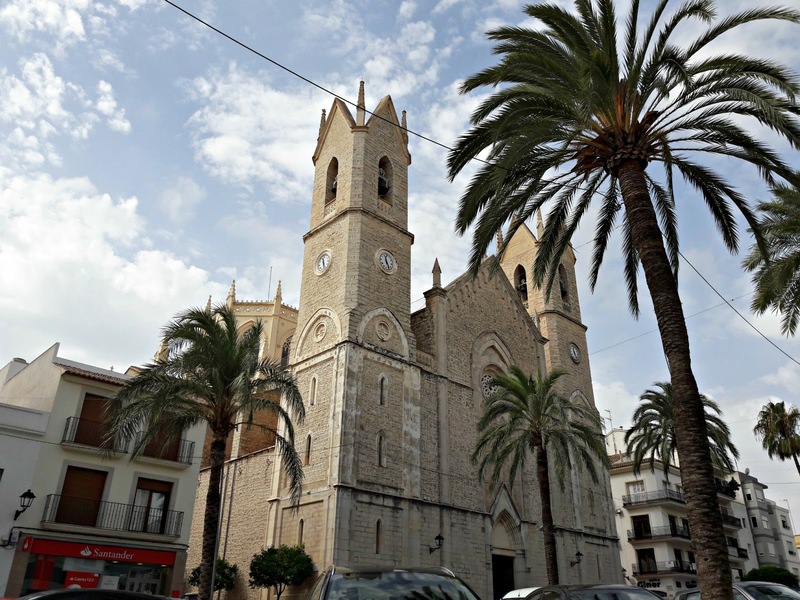 Adios, "flingamingo". 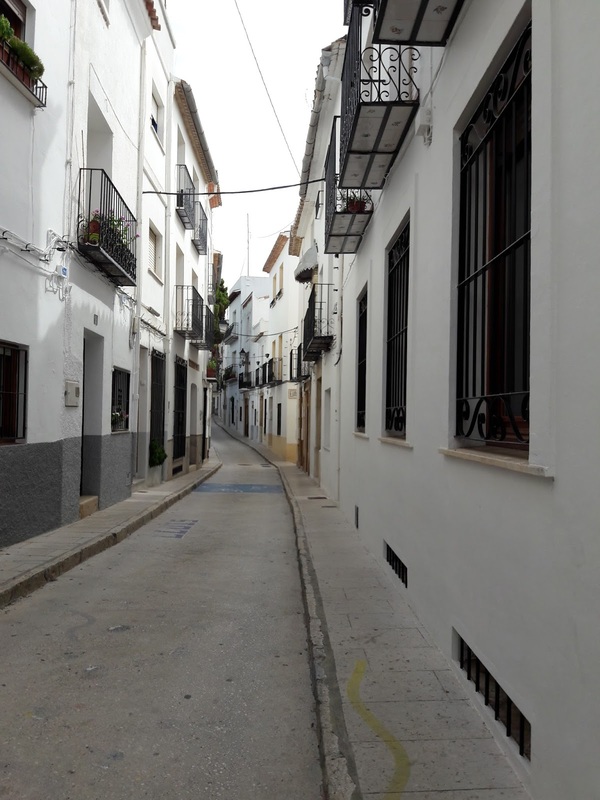 Staying for ten days meant that it didn't matter too much if we didn't really do anything for the first few days as we still had over a week of our holiday left. I had a lovely time sitting under a sunshade knitting socks, getting into the whole siesta culture thing (is there a nicer way to snooze than in the shade with a cool breeze stirring the umbrella from time to time?) and generally being very lazy having a rest. Yes, you did read me right. I did say "socks". My early morning sock is not the only sock I've been knitting. 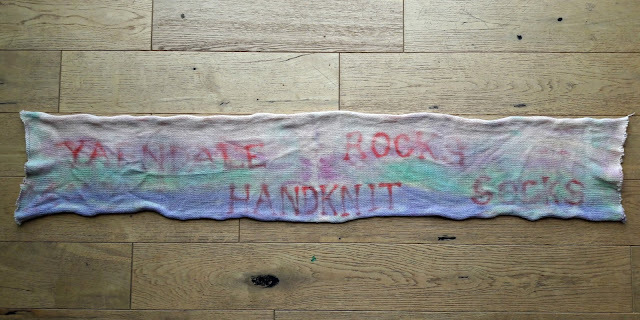 I don't know if you can read the words on this sock blank but they say "Yarndale Rocks Handknit Socks" and it was a gift from Julie at Suffolk Socks at Yarndale last year. I've never used a sock blank before - all to do with not wanting to spoil the picture and worrying about getting a match, clearly sock blanks are not designed for people with stripe OCD! 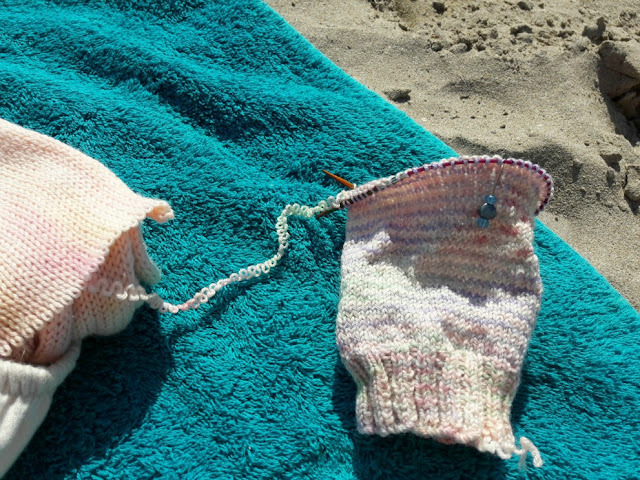 :) - but I thought this would be perfect for plane knitting. Yes, I did knit on the plane. I took my 25cm wooden Symphonie circular needle and had already cast on so that it was obvious that I was creating something. If you're flying from the UK, the latest Government guidelines do state that you can take knitting needles on planes but there's always a risk that someone in security might not want you to, so I had to be ready to hand it over if that happened. I don't know what I'd have done if they had; cried in security probably and made a bit of an embarrassing scene but fortunately for me, Manchester airport security weren't worried about me or my sock and we went on our way. 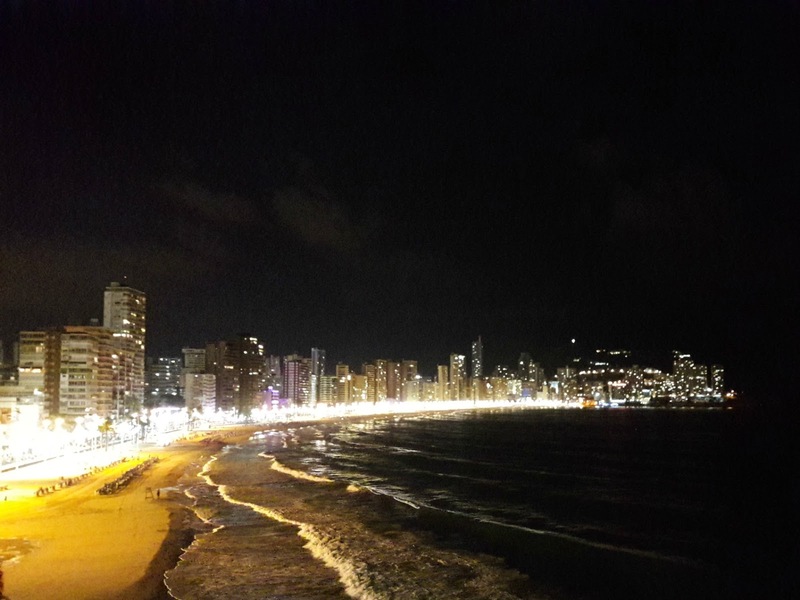 and have admired that lovely view. Spoilt, these socks have been. 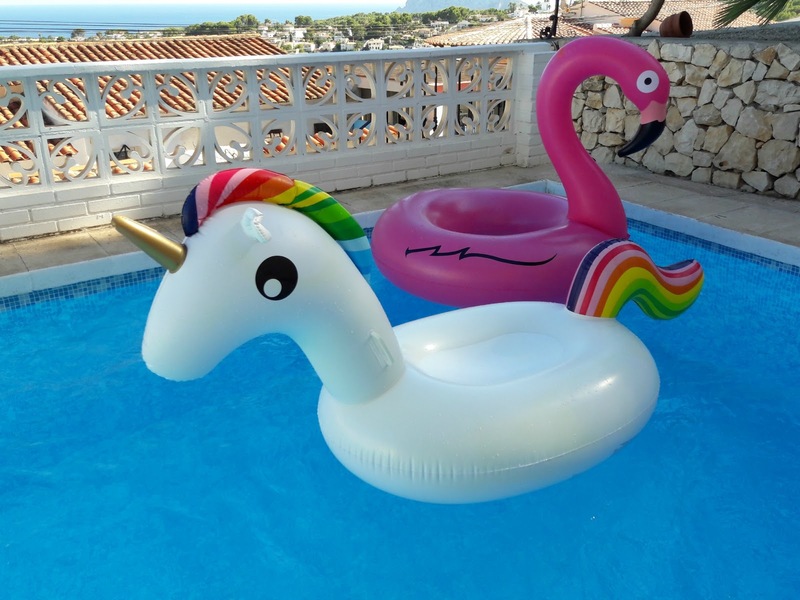 Not so spoilt that I let them loose on the flamingo and the unicorn, though. and sit in cafes to watch the world go by. I loved that the underside of these balconies right outside the cafe had decorated tiles. 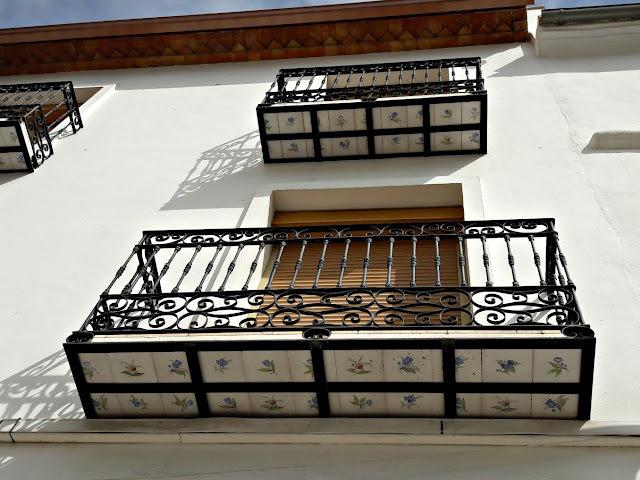 How thoughtful of the builder to think that someone looking up might want to see something more beautiful than concrete! It's nice to be home again, but I will miss the view. And I was surprised to see that some new spiky plants had grown. I went over to take a closer look. Nooo! This is all that remains of my sprout plants. 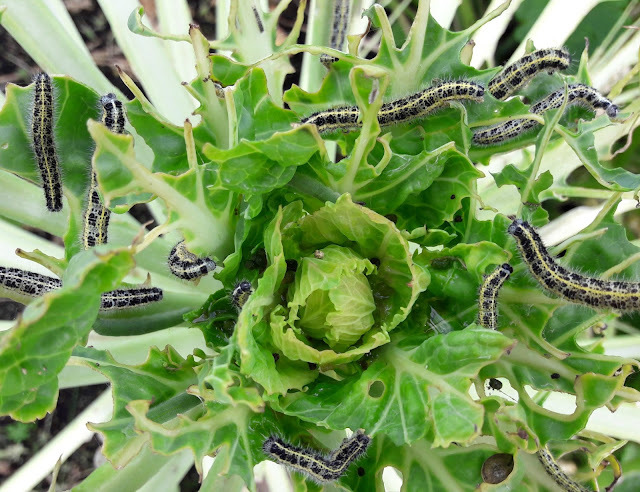 It looks like we won't be having sprouts for Christmas dinner after all. I'm very cross and very disappointed too. 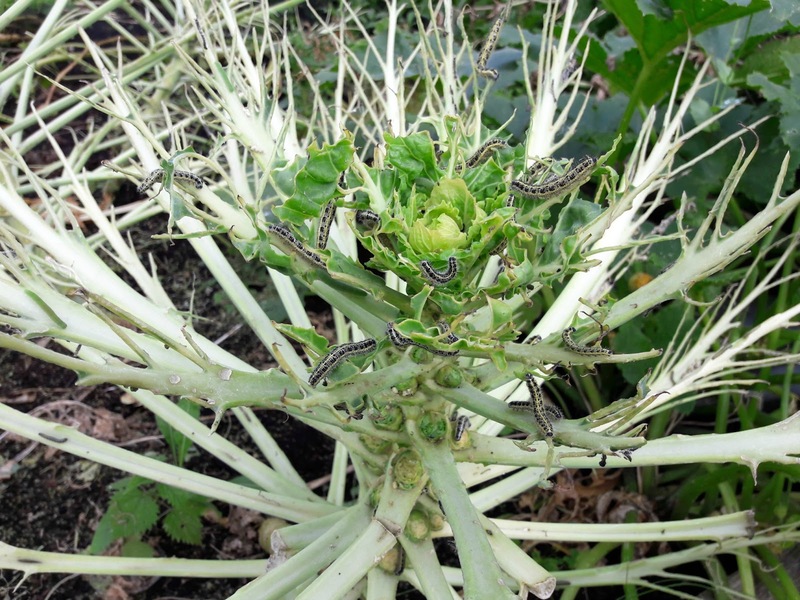 They're the caterpillars of the cabbage white butterfly. I'm all for supporting wildlife, but this is ridiculous! There are hundreds of them, they're all over the place, climbing up over the house as well now to make their chrysalises. 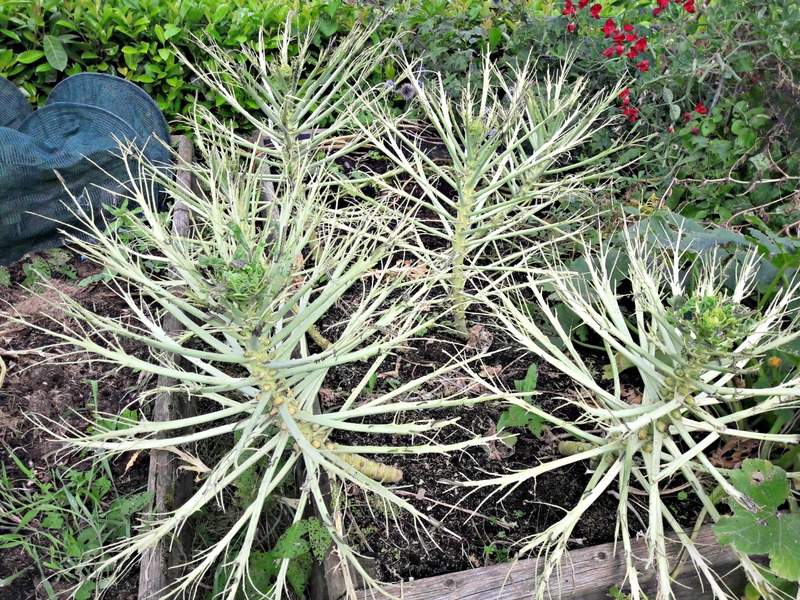 I might have to take drastic action which, as an organic gardener, doesn't feel right but on the other hand I think the damage is done now so maybe I'll just leave them. 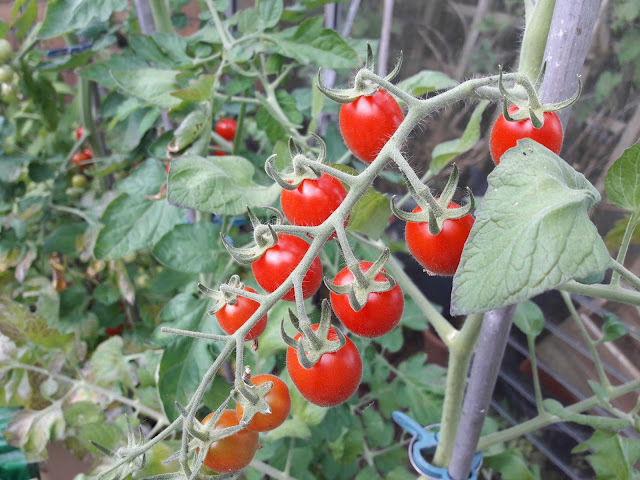 I'll have to take more care to cover my sprouts up next year; my Dad didn't have this problem so it didn't occur to me that I would. Ah well, you live and learn. I'll just try to keep calm and remember the sound of the waves on the sand.